Yes the planet got destroyed. 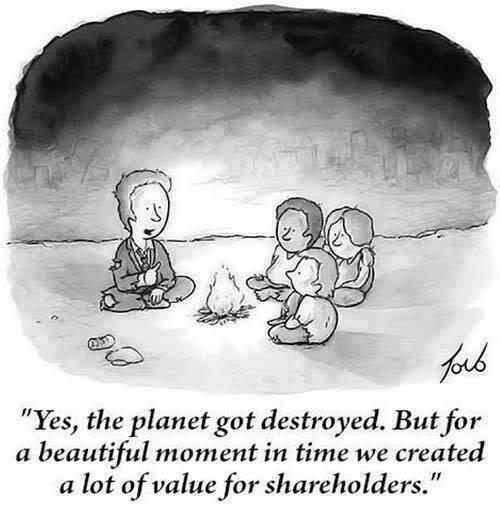 But for a beautiful moment in time we created a lot of value for shareholders. This fantastic cartoon captures some people’s attitude to the environment.